A golden pendant - spider with two transparent inclusions of amber. The transparency of amber draws attention, like a light coming from the inside, originally pitched inclusions. 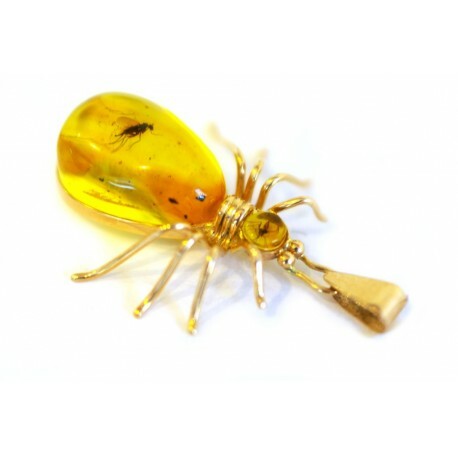 The author represents amber like a noble material. Emphasizes its trancparency, like a light coming from the inside, yellowish and pink coloring of rich shades, charm and value of stagnated inclusions.